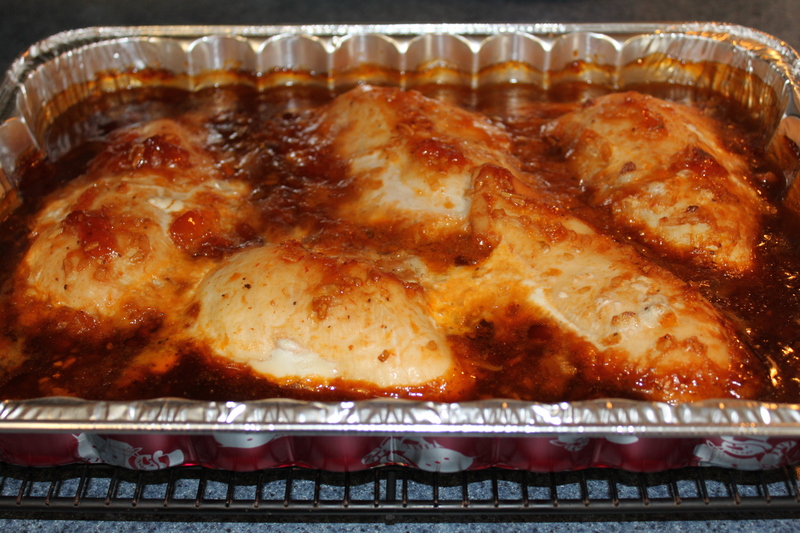 Put raw chicken pieces in 12 x 9″ casserole dish. Mix remaining ingredients and pour over chicken. Bake in a 300 oven uncovered for 2 hours.